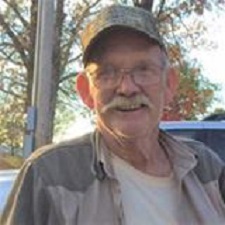 Melvin Autry Harrison age 70 of Mena, Arkansas passed away Tuesday, January 22, 2019 in Mena, Arkansas. He was born on October 27, 1948 in Mena, Arkansas to the late J.V. Wilhite and May Jo Strothers Wilhite. Melvin was happily married to Beverly Kay Trowbridge Harrison. He worked as a heavy equipment operator in construction until he retired. Melvin was a workaholic but still enjoyed being with family and friends hunting and fishing. He enjoyed going to lake and most of all sitting on his porch drinking coffee. Above all he appreciated and adored his family and serving God. He was a loving husband, father, grandfather, great-grandfather, brother, and friend to all who knew him. Sisters: Pam Ward of Mena, Arkansas, Kathy Musgrave of Mena, Arkansas, and Charlie Jo Bates of Mena, Arkansas. He was preceded in death by his parents J. V. and May Jo Wilhite. Funeral service will be Friday, January 25, 2019 at 10:00 a.m. at Christ Community Fellowship Church with Brother Lance Sawyer officiating. Interment will follow in the Pinecrest Memorial Park under the direction of the Beasley Wood Funeral Home of Mena. To send flowers or a memorial gift to the family of Melvin Autry Harrison please visit our Sympathy Store.